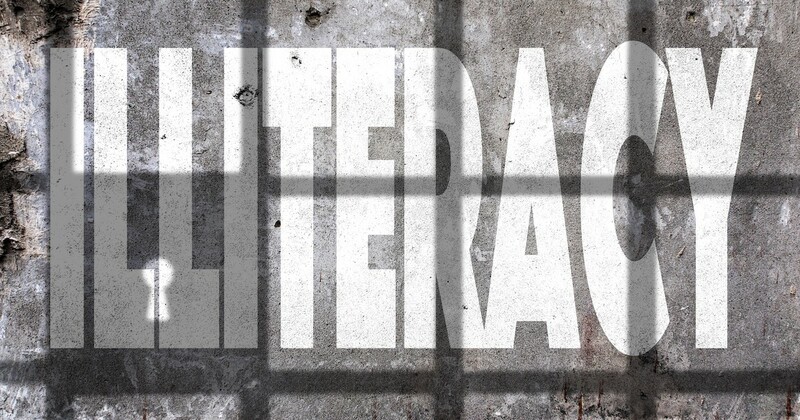 Approximately 80% of prison inmates are reported to be functionally illiterate… [and] 47.8% of the inmates were deficient in word attack skills. I place this here to shock readers into action but not to suggest that people with reading difficulties are more likely to be bad people because that is ridiculous and not at all what I think. What I want readers to be shocked by is the statistic and the significance of where low literacy rates and resulting limited opportunities can lead. Of course, crime is a much more complex issue than this statistic alone suggests but such a correlation between literacy rates and incarceration has to suggest that many of our prison inmates have been let down by a plethora of educational institutions and crime has become their only option. Another study, from the UK this time, examined the relationship between youth offending and dyslexia. Kirk and Reid (2001) tested 50 young offenders and discovered that 50% of those tested were dyslexic to some degree. Illiteracy can be caused by a variety of psychological, medical and environmental factors. Long absences from school because of sickness or lack of parental support will affect reading opportunities. In addition to absence, dyslexia and other specific learning difficulties can cause students to struggle to decode, despite access to regular schooling. The statistics above suggest that almost half of those Texan inmates and Scottish young offenders lacked the literacy levels to access texts. This means they have never been taught the knowledge or skills to decode text or that, as a result of specific learning difficulties, they had not acquired this knowledge. In her senate submission of February 17, 2014, Pamela Snow outlines the correlation between language impairment and young offender rates in Australia. She suggests that the young offenders in question struggle to communicate and also have very poor literacy rates. Snow goes on to highlight the significance of this for employability and charts the very sad conclusion that crime fills the gap where good literacy skills might have given them a more positive future. What Intervention Might Begin to Help? According to Snow, evidenced based reading tuition and speech pathology intervention, particularly in the first three years of schooling is vital to empower those at risk. By intervening early, literacy skills can be gained and access to mainstream employment secured. Evidenced based reading tuition is that tuition where systematic and cumulative phonics is taught. What About Teens and Adults who Can’t Read? I very much hope for a world where evidenced based reading tuition is given to all students in grades K-2 and where children at risk of having specific learning difficulties like dyslexia are screened and supported by trained specialists. In the meantime, those teenagers and adults who have been let down by the system because of circumstances or learning difficulties must be supported. They must be taught systematic and cumulative phonics by specialist teachers and speech pathologists who understand the additional challenges a specific learning difficulty can cause. They must also be given age appropriate texts, like the TAP novel series, that are fully decodable and sequential in structure and support the teaching of phonics for teens and adults. When all of this comes to pass, it is a very achievable expectation that those very young children who are at risk of poor literacy skills will be supported and encouraged to access the school curriculum and gain those literacy skills required to function independently in society. With the support of speech pathologists, psychologists, specialist dyslexia teachers and appropriate decodable texts, our young offenders of today should also have the right to seek access to the language and literacy skills needed to function well and happily within our communities. Yes further research is required on the profile of young people coming into contact with the juvenile justice system because as you say, the percentage that have dyslexia and/or a difficulty with reading, writing and comprehension is just one feature of their profile. Other socio-economic factors (eg one or both parents in jail, lack of stable housing, employment, education, exposure to alcohol and drugs, domestic and family violence) potentially have a far greater relationship with young people coming into contact with the juvenile justice system, just as factors (eg resilience, strong self identity, positive mentor they can rely on) can protect them from coming into contact. However literacy is a major way of breaking the juvenile justice cycle and securing employment.